Packt is a new type of publisher. They have found a model that allows them to publish books (likely on demand) in what other publishers might call niche markets. They are usually the first publisher to have a book out about a particular open source product. They leverage the enthusiasm that exists in these communities in how they recruit writers, they stroke people’s egos by asking them to become (technical) reviewers of the books and they do most of the hard work that is necessary to create a book in countries that have lower wages than (Western) Europe and the United States. All of this means that the quality of the books is a bit hit or miss. Another trick up their sleeves is the way they promote their books. They seem to understand the Internet well and offer bloggers review copies of books. 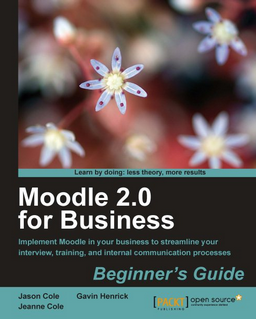 I was offered a free copy of Moodle 2.0 for Business, Implement Moodle in your business to streamline your interview, training and internal communication processes by Jason Cole, Jeanne Cole and Gavin Henrick in return for a review. So here goes! Most books about Moodle assume an educational setting. As I know a lot about Moodle and am starting to understanding corporate HR more and more every day, I was curious to see what I could learn from this title. The authors of the book have a very deep understanding about Moodle and have all used it for years (as they write “The authors of this book have collectively spent more than 5,000 hours experimenting, building, and messing about with Moodle”). They are active members of the Moodle community and work for a Moodle partner. In many places their hard-earned experience comes through like when they point out a fundamental flaw in Moodle richly complicated roles and permissions system on page 194. The books contains a few suggestions and warnings and I would recommend any reader to heed to them. The authors also mentioned the 2008 eLearning Guild survey about Learning Management Systems: “Moodle’s initial costs to acquire, install and customise was $16.77 per learner. The initial cost per learner for SAP was $274.36, while Saba was $79.20, and Blackboard $39.06”. Even though I think the survey is comparing apples with pears, I still think it says something: Moodle could be a way to get more functionality out of the same budget. Another good reason to choose Moodle is is that it “makes it easy to try things, figure out what works, change what doesn’t and move on”. The meat of the book is a set of chapters which look at different parts of the HR process finished with a case study of a company or organization which has done something similar (see here for an overview of all the chapters in the book). Through these chapters a lot of the different Moodle functionalities are explained in very concrete terms. Many of the examples make quite creative use of Moodle. 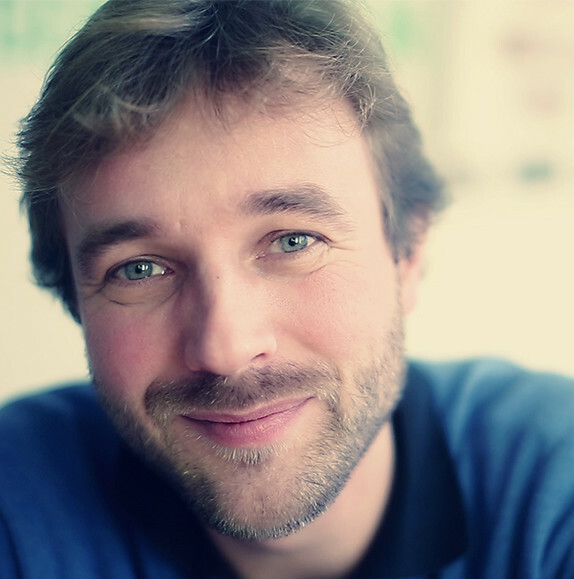 One of the first chapters for example deals with the hiring and recruitment process. Moodle is used to capture people’s resumes, rate the resumes, let people choose an interview slot and assess people with a simple online test. The authors have a pleasant tone and are not afraid to share their own failures to make the reader learn (like when they set up quiz questions in the wrong way, page 47). After a less than successful strategy of purchasing off-the-shelf SCORM content, GAC has now move to developing courses with a combination of internal subject specialists, HRD e-learning consultants, and facilitators. The course content is uploaded into Moodle course page with GAC-specific assignments and discussion forums added. There is a clear strategy to ensure that the learner does not simply click through a series of screens without context or interaction. Interaction and collaboration in courses is now a fundamental part of the learning process, with the courses tightly integrating content, tasks, and collaboration. Through these chapters we get some good explanations of functionality that gets glossed over in many of the other books on Moodle. There is a good explanation of the database module, outcomes (a Moodle word for competences) are explained, the new way of setting conditions for accessing particular parts of the course and for considering a course complete get good attention and they have found some useful examples for relatively advanced role configurations. On the slightly more technical side they give sensible advice on how to install modules (page 209) and I love the fact that they explain how you create your own language for the interface (something that is usually very hard to do in other systems) on page 285. The book ends with a few chapters that show you how you can integrate Moodle into application landscape. There are some good explanations about using webconferencing/virtual classrooms, the portfolio and repository APIs are used and they show you the first steps towards integrating authentication and enrollment. The explanation of the portfolio and repository APIs wasn’t conceptual enough. I am not just sure that the average reader will be able to generalize from the exampls and see what a gamechanger this type of technology can be when it is embedded correctly in the organization. There is small battle going on in corporate Moodle land. Multiple service providers are creating their own more commercial “distributions” of Moodle with extra functionality that is relevant for enterprises: Remote Learner publishes ELIS, Moodlerooms has joule and Kineo and Catalyst have come together to create the aggresively marketed Totara LMS. The book never mentions this (I can think of good reasons why this is the case), but it is highly relevant to know more about these systems if you are considering using Moodle in your organization. Related to the previous point is reporting. Moodle is not known for its strong enterprise reports and this is something that many organizations commission some functionality for. It would have been nice if reporting had gotten a similar treatment as web conferencing. Maybe we can get that in the next updated version? All in all this is strongly recommended reading for any curious person who uses Moodle professionally in an organization, no matter the level of their expertise. Get it here if you want to let Packt know that you’ve read the review, they use this link to monitor which blogs give them the highest amount of traffic and might ask me to review another book if this link gets clicked on often. Get it here if you don’t want to pay any shipping costs and don’t mind me getting a 5% percent commission. Get it here if you like Amazon and don’t mind me getting a neglible commission. Get it here if you don’t like be tracked, live near London, love bookstores and are willing to call first to see if they have it in stock. Seriously, Foyles is a treasure.